(L to R) Ashok Chawla, chairman, NSE, Sudhakar Rao, chairman, BSE, Ashish Chauhan, MD & CEO, BSE and J Ravichandran, CEO-Incharge, NSE during the listing ceremony of BSE at NSE in Mumbai. 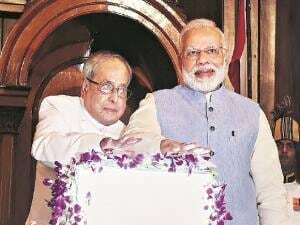 Photo: Kamlesh Pednekar. 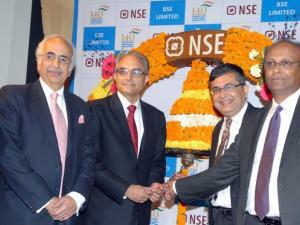 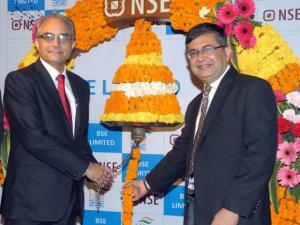 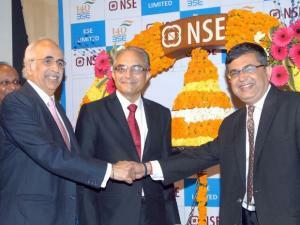 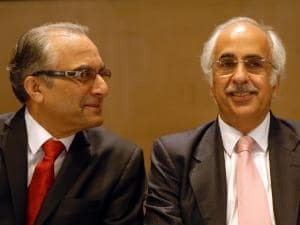 (L to R) Sudhakar Rao, chairman, BSE and Ashok Chawla, chairman, NSE during the listing ceremony of BSE at NSE in Mumbai. 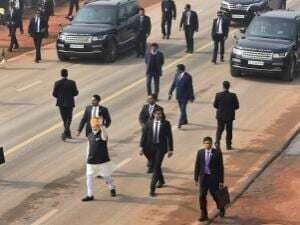 Photo: Kamlesh Pednekar.